For those of us constantly obsessing over how well Auburn would stack up against the rest of the SEC, Max Mirable created this handy table – the Vegas Lines Matrix. For more information on what the Vegas Lines Matrix is, how it works, and why you should care, check out a previous column. 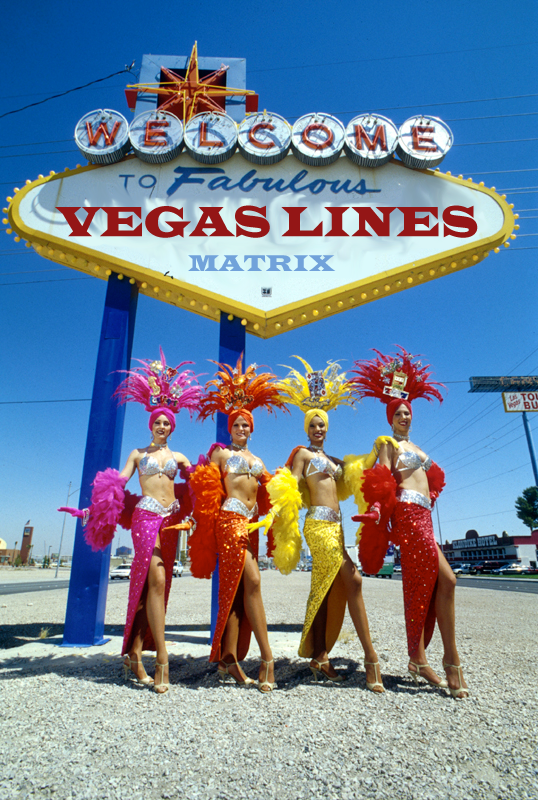 What happens in the Vegas Lines Matrix stays in the Vegas Lines Matrix. Forever. Based on how all teams played last week, I (acting on behalf of Vegas bookies) have adjusted the matchup lines you could expect if these teams played this week. A few things to mention first: in ordered to “improve” a team’s odds, one of three things needs to occur: 1) the team needed to improve on their per game statistics in the past week, or 2) their opponent’s per game statistics needs to worsen, or 3) the team needs to move up in the polls. When a team like Alabama embarrasses Florida, but doesn’t put up big offensive numbers and can’t move up in the polls from #1, the Vegas odds model will ding them, ever so slightly. When a team like Auburn improves in many statistical categories and moves up the polls, the Vegas odds model will reward them. Arkansas at Auburn: Slight move from Auburn being a 5.5-point favorite to a 4.5 point favorite. LSU at Auburn: Line moved from Auburn being a 4.5-point favorite to a 5.5-point favorite. Chattanooga @ Auburn: This game is off the board, Auburn would likely be a 42-point favorite. Georgia @ Auburn: Line moves from Auburn being a 19 point favorite to a 17-point favorite. Auburn @ Alabama: Line moves from Auburn being a 14-point underdog to a 9.5-point underdog. My predictions are again relatively close to what Vegas is currently saying, the biggest difference being a 6.5-point difference in the South Carolina @ Kentucky game. Last week my Vegas lines model underestimated a resilient Kentucky team. Out of conference games do not have any predictions in the Vegas lines matrix currently. We can use these odds from the above color-coded Vegas lines matrix to impute the implied probability of winning in these matchups. These probabilities are calculated using thousands of prior games. For example, let’s consider the actual Arkansas at Auburn spread, where Auburn is a 3-point home favorite. In the past 10 years (the period my data covers) there have been 263 games where the home team was a favorite by exactly 3 points. In these 263 games, the home team won 145, and lost 118, for an implied win probability of 55.1%. If the line moves ‘down’ to -2.5 points, we (as Auburn fans) run into a problem: 147 games, 61 wins for a win percentage of 41.5%. If the line moves a half-point in favor of the Tigers, we see: 159 games, 91 wins for a win percentage of 57.2%. By populating the above matchup matrix with these probabilities, we can “simulate” the remainder of the season, and calculate such things as a team’s expected record or probability of going undefeated. Note that the probabilities actually displayed here are a 3-line moving average, so a 3-point home favorite would use all of the games mentioned above (lines at -2.5, -3, -3.5) to calculate a weighted average to smooth out inconsistencies from occasionally sparse data at certain line values. As with the above matrix above, the values are color coded relative to the home team’s chances of winning. The greener the cell, the more likely the home team is to win. Regular readers of the Vegas Lines Matrix will recognize that a one-loss Alabama squad is no longer the overwhelming favorite to win the SEC. In fact, Alabama may be an underdog for the first time this season when they travel to Death Valley to face LSU. LSU moves to the top of the SEC West with a win over Florida this week, but only by the slightest of margins over Auburn. Looking at the remaining schedule for LSU, they should be a small underdog when they come to the Plains next week and have a 50% chance of winning against each Alabama and Arkansas. Auburn remains a favorite this week against Arkansas and LSU, and their odds of beating Alabama in Tuscaloosa have improved from 18% to 21%. Last week, I wrote that Auburn should go 3-1 in October games and there was only a 25% chance of going undefeated in that period. With a win last week over Kentucky, we can revise those odds. Auburn now has a 32% chance of going undefeated in October. Auburn has a 6.4% chance of winning out in the regular season, up from 3.9% last week. However, Alabama has an 18.4% chance of going undefeated in its remaining schedule, and LSU has a 7.8% chance of running the table. There is really way too much football to predict with any accuracy what the final SEC standings will look like at the end of Week 13, but here are some notes. LSU, Auburn, and Alabama could all be 6-2 in the SEC facing a 9-win South Carolina team. In this scenario, Auburn would likely be headed to a BCS game if they managed to beat a top-10 Alabama team. The SEC may be having a “down year” according to some analysts, but don’t blame the SEC West where all 6 schools could easily become bowl-eligible. The SEC East remains plagued by the poor performances of football’s best two-win teams: Georgia and Tennessee. Auburn opened at a 2.5 favorite this weekend which jumped to a 3.5 for most casinos and 4 for a few (Caesars namely). So the early money is liking Auburn. Thor, I think the Vegas insiders have caught on to Auburn’s new strategy: injure our opponent’s playmakers. So far this week, all of these opening lines (which I am showing in the article) have all moved closer to my model’s predicted Vegas line.